Produced. Arranged and Mixed By –. Dario Fimiani. Flavio Cuva. Giuseppe Zanin. Jamie Lewis and Tibor Lörincz for U.M.M. records in the 1993 . 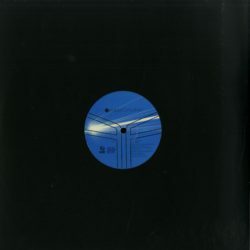 5 House/Deep/Happy vibe tracks…Flash Forward represses one of the most played record in the Underground House scene of the 90s. five different high quality tracks for an ep that after 24 years its still an absolute gem. Enjoy !